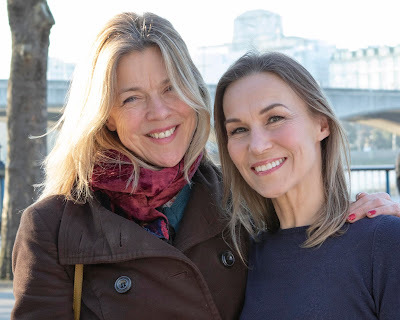 Maria Friedman makes a welcome return to the intimacy of a London cabaret run in this her first ever residency at Chelsea's Pheasantry. Both the writers are of course indelibly linked with New York and so Friedman’s opening song, What More Do I Need, from Saturday Night, is a loving tribute to the Big Apple. Its brash melodies evoke the noise and buzz of the city and who other than Sondheim could write the line “A two ton child running wild upstairs” to cleverly capture the apartment/tenement style of Manhattan life. Segueing seamlessly into Company’s Another 100 People, the New York tone of her set was sealed. 100 Easy Ways To Lose A Man saw the singer’s funny side and her ability to work the wit of Bernstein’s lyrics was assured, providing one of the evening’s many masterclasses in acting through song. 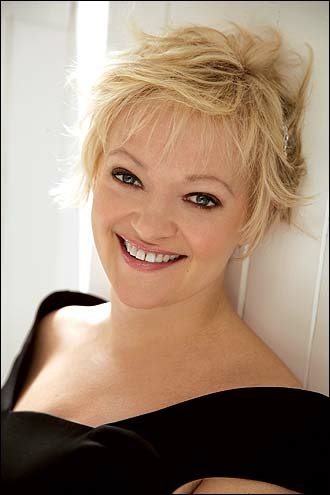 The respect that Friedman commands within her industry was underlined with her anecdotal tale of Cameron Mackintosh asking her to perform a set of songs, each selected from the works of Sondheim, Boublil & Schonberg, Lloyd-Webber etc at his recent birthday celebrations, and in the presence of these esteemed composers who would all be guests at the party. The tale was honest and amusing, and for all Friedman’s modest self-deprecation, one suspects that she astounded. A mark of the diva's steel was her interrupting her (beautiful) interpretation of Being Alive, to request that an elderly front row diner kindly put his cutlery down until the song was over. The song was indeed sublime, and she courteously kissed hands with the hungry fan at its conclusion, but her focus and resolve in that episode provided a glimpse of the standards that she sets herself. Jason Carr on piano provided accomplished accompaniment throughout and it was evident how comfortable these two performers are in working with each other. Losing My Mind was another soulful yet searing performance, whilst Send In The Clowns was given a moving and respectful interpretation, that was greeted with almost hushed reverence by the packed audience. Make sure to cheer for an encore. She gave two on her opening night with an at times singalong Officer Krupke that was riotously brilliant. That she was battling and conquering a throat infection made her performance all the more remarkable and when she shakes the virus off, the remainder of her gigs (book NOW, some are already sold out) will provide simply stellar interpretations of these wonderful songs.